With the kind of promotion and SEO strategy we have in place, content and video marketing plays a crucial role in success of web ventures. Around 80% of the content produced in last decade is digital content. Webmaster is faced with a stiff challenge of maintaining disk space capable of containing the entire web content. When cost effective, moderate size disk space plan is subscribed, the challenge gets steeper. Promotion, bandwidth management and disk space management must go hand in hand to run a hassle free web service. Webmasters are looking out for every possible option to save space for more files and content. To add up to the mess, several spammers and hackers try to take down website with vigorous email spamming. The amount of spam or junk mails received accounts to the headache of weeding them and saving space. Some web services run most business operations from mail to mail. Constant spamming could bring down the reputation of mail server too. The kind of notification settings, user base, and interactivity could fill in your mail box located within your hosting account. Mail templates with enhanced graphics and themes means a lot of your web disk space is getting occupied by emails. Moreover the inconvenience of logging every time into your hosting account to check mail or wait for forward mails to your custom mail account isn’t quite enjoyable. Google tries to solve most day to day problems with their extensive lab applications and tools. One such tool to help webmasters and also the average users to save mail space on secondary accounts is Google Fetch. 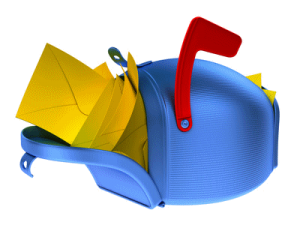 As the name suggest the tool fetches mails sent to your secondary mail boxes to your Gmail account. It is easy to manage fetched mails by categorizing with name labels to different secondary email accounts. The process of setting up Google fetch requires minimal steps including server settings changes and mail verification for secondary email. Mail verification typically gives the authority to Gmail to fetch emails from your web email account. An email forwarder setting recognizes mails as spam when they are received in bulk. Nevertheless Google Fetch takes care of spam filtering and receives mail without it being routed from secondary server.